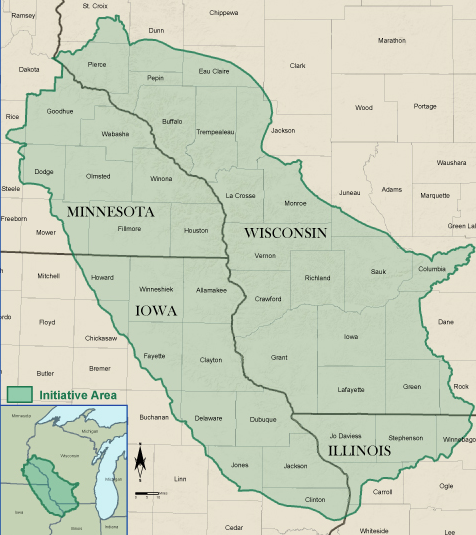 the Driftless Area is shown in green. A year after President Trump's election, a deeply purple rural region of southwestern Wisconsin that swung red in 2016 is seething with frustration, Craig Gilbert reports for the Milwaukee Journal Sentinel. "Hillary Clinton voters are disconsolate and appalled by Trump. Trump voters who are happy with Trump are unhappy with Congress and Trump’s GOP critics. Trump voters who are critical of Trump — and they’re not too hard to find here — display everything from resignation to pique to exasperation with his behavior," Gilbert writes. "Voters of all stripes complain about the political culture, including the media, the parties, and the inability to have a respectful conversation about politics with your political opponents." Journalists and political interest groups are paying attention to the Driftless Area (which the glaciers somehow missed) because it was a hotbed of rural white voters who tipped the election for Trump. The area is particularly interesting because it defies easy stereotypes about red rural America. It contains the largest cluster of blue and purple counties in rural, white America, and has the largest concentration of counties that flipped from Obama in 2012 to Trump in 2016. 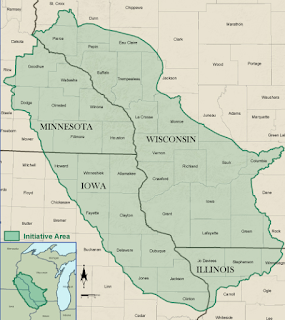 So though the Driftless Area is no good as a microcosm of America, "what this swingy slice of the heartland does offer is a window into the trends and tumult of the Trump era," Gilbert reports. Many of the 30 voters Gilbert interviewed felt ambivalent or pessimistic about both Clinton and Trump, and about both major parties as well. It's difficult to predict how they'll vote in the 2018 midterms or the 2020 presidential election, but the answer for many will depend on whether Trump and the GOP-controlled Congress are able to enact palatable legislation and whether Democrats will offer any better alternatives.